Did you ever found yourself in the position of not knowing what gift to buy for your book-loving friend? I mean, other than books. Speaking of which, you never know what book to buy, because it seems like your friend already has ALL THE BOOKS. I know I drive my friends and family crazy when it comes to this subject. They would love to buy me books, but they’re never sure if I have a certain book or not, and then they call me to say “hey, I don’t know what gift to buy for you”, to which I say “you know, you don’t have to buy me anything, really”, and then they sigh (*clears throat* the notion of a book coupon is alien to them). Well, don’t you worry ‘cause now I got you covered with this awesome book-themed gift guide I put together. And the best part is that ALL THESE THINGS are designed and made by women creators. “Read More Books” Throw Pillow by yours truly, AnaReads (it can also be bought as just the pillow cover). 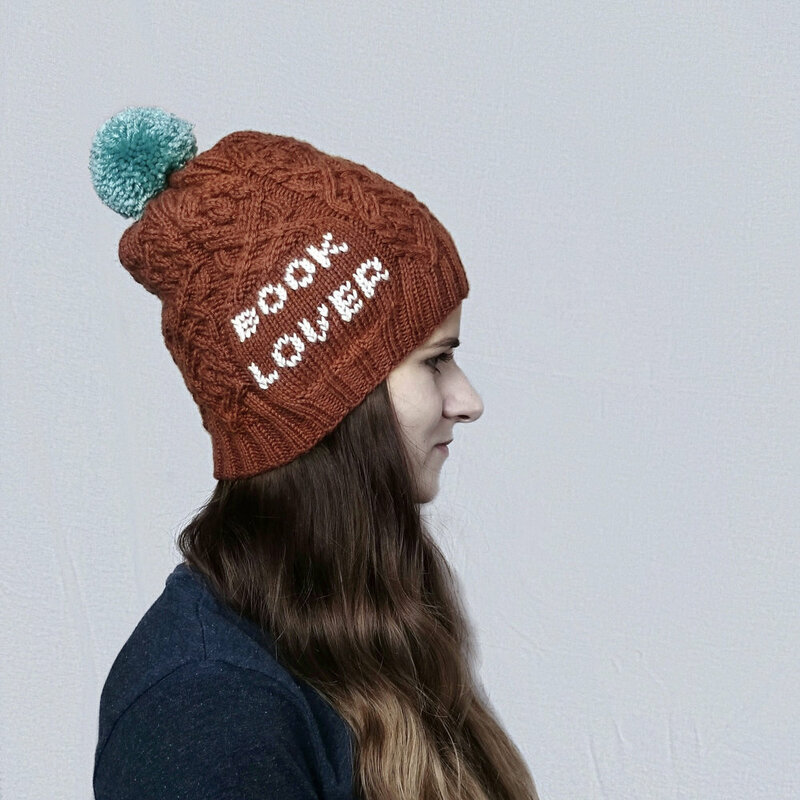 Book Lover Winter Beanie by BookloverPullover. It looks so warm! Autumn Inspired Book Sleeve. The book sleeves from StoryTimeSleeve usually sell out put pretty fast, so you gotta watch’em! Hobbiton Enamel Pin by DustandPages. “Lock up your libraries” Virginia Woolf Quote Print by AlwaysBookish. “Women who read are dangerous” Mug by AnaReads. A Golden Necklace inspired by everyone’s favorite wizard game by ElissaJDesigns. Beauty and The Beast inspired Cozy for Mugs by LovelyStitchesShop. Book Coven Enamel Pin by StoryTimeSleeves. 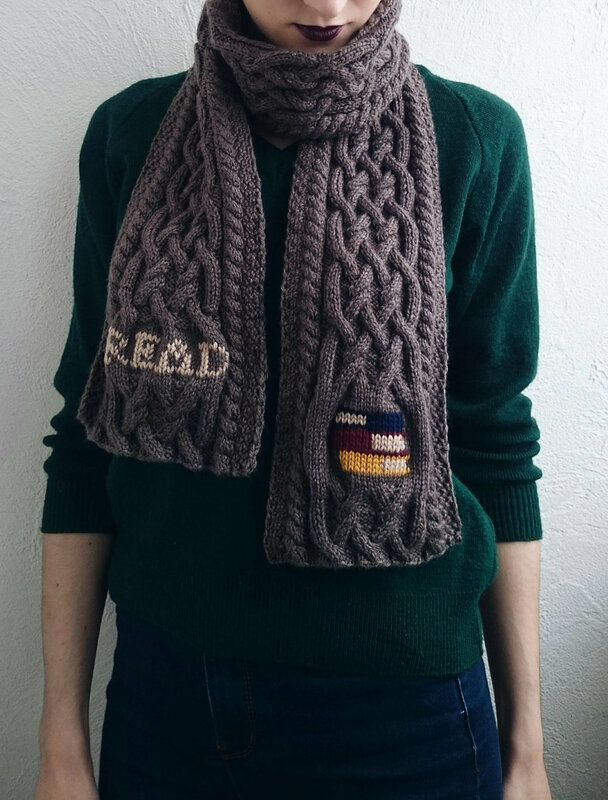 This amazing “READ” Winter Scarf by BookloverPullover. 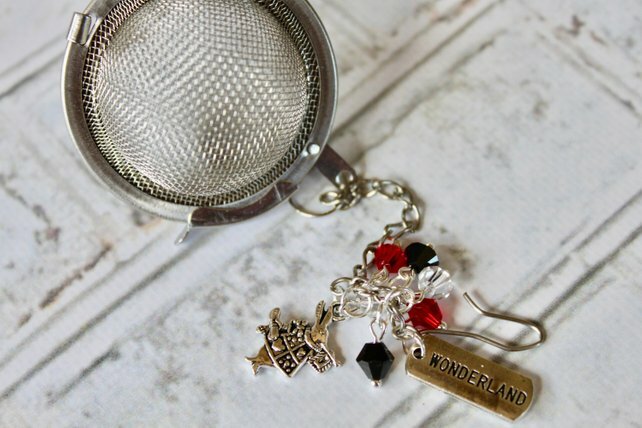 An Alice in Wonderland inspired Tea-Infuser by ElissaJDesigns. Jane Austen Print from AlwaysBookish. “In Love With A Fictional Character” Enamel Pin by DustandPages. Sloth inspired Cozy for Mugs by LovelyStitchesShop. For those days when you’re feeling lazy. “Crazy Book Lady” Cotton Tote Bag by AnaReads (yeah, that’s me). If you liked this gift guide and found it helpful, please spread the word and share it with your friends. It would mean the world to us, small business owners and creators :). Thank you!